Rubber is the story of Robert, an inanimate tire that has been abandoned in the desert, and suddenly and inexplicably comes to life. As Robert roams the bleak landscape, he discovers that he possesses terrifying telepathic powers that give him the ability to destroy anything he wishes without having to move. At first content to prey on small desert creatures and various discarded objects, his attention soon turns to humans, especially a beautiful and mysterious woman who crosses his path. Leaving a swath of destruction across the desert landscape, Robert becomes a chaotic force to be reckoned with, and truly a movie villain for the ages. Directed by legendary electro musician Quentin Dupieux (Steak, Nonfilm), aka Mr. Oizo, Rubber is a smart, funny and wholly original tribute to the cinematic concept of no reason. Actor Daniel Quinn has a small role in the film Rubber. He was also in the film Scanner Cop (1994), in that film he played a man who could use his mind to make the head’s of people explode. In Rubber, a tire has that same ability. Actor Wings Hauser is the father of actor Cole Hauser, a successful actor known for films such as Good Will Hunting, Pitch Black and 2 Fast 2 Furious(2003). The first four films director Quintin Dupiex’s made have single word titles, Nonfilm , Steak (2007), Rubber, and Wrong. Rubber had a budget of an estimated $500,000. The film earned just over $98,000 in the United states and just over $100,000 worldwide. 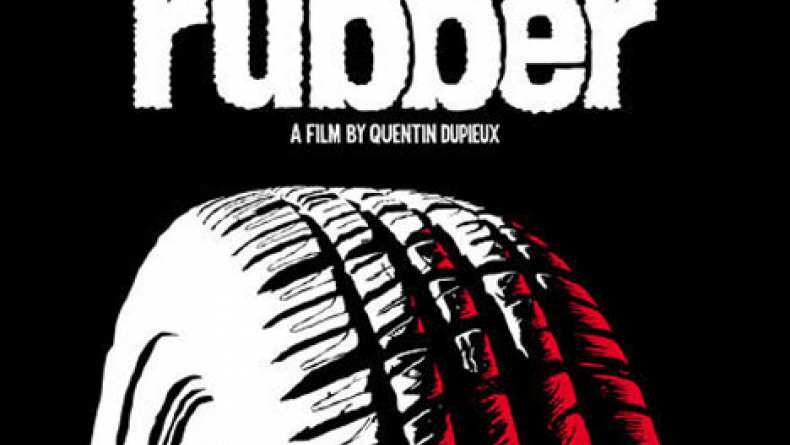 Is the film Rubber pure genius or just as dumb as the concept sounds? The opening moments of the trailer are odd considering it appears to be a movie about a tire that rolls on its own and begins an adventure. Then the trailer gets even stranger when it is revealed that the tire can somehow blow things and people’s heads up with its mind. Does a tire have a mind? 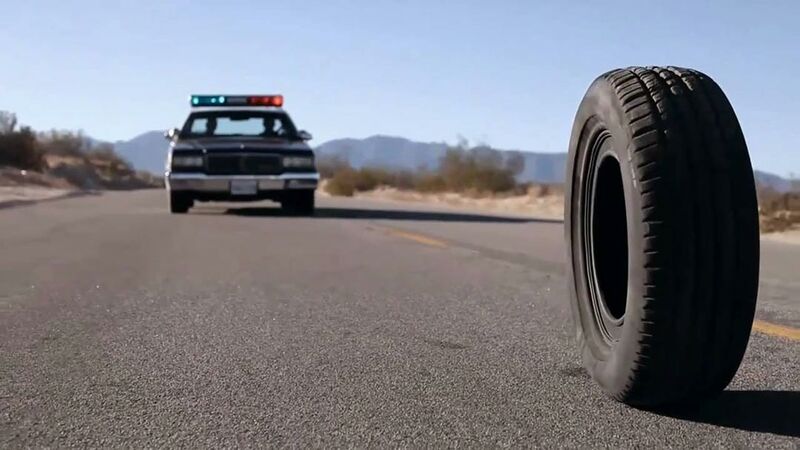 Questioning the possible inconsistencies in a film about a rogue tire is probably pretty useless. I am sure Rubber is filled with pot holes, er, I mean, plot holes. The trailer is ridiculous but it definitely made me laugh. The bit with the sheriff instructing the other police officers how to handle this killer tire and how to find it was great. What brand? Is he black? I could not help but laugh out loud. The person who thought up this film must either have children, as children give inanimate objects personalities all the time, or was on drugs. Probably something mild, but definitely in the realm of a creative inducer. The bizarre quality of the film along with the cinematography feels like a Tarantino movie, but it’s not. The director is a guy named Quintin Dupieux. He’s French, suddenly things are starting to make sense. The trailer for Rubber makes an insane concept seem entirely watchable, which may be even more insane.